Patients with Parkinson’s disease (PD) present a variety of non-motor symptoms. However, it remains unclear whether dopamine depletion is related to non-motor symptoms, and which non-motor symptoms are significantly dependent on dopaminergic deficit. Forty-one patients with PD who underwent positron emission tomography imaging of dopamine transporters (DATs) were recruited for this study. The striatum was divided into 12 subregions, and DAT activity, as striatal dopaminergic concentration, was calculated in each subregion. 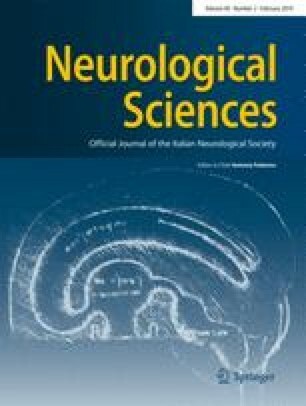 In addition to measuring motor symptoms using the Unified Parkinson’s Disease Rating Scale-part III (UPDRS-III), various non-motor symptoms were assessed using the Montreal cognitive assessment, frontal assessment battery, Beck depression inventory (BDI), Beck anxiety inventory, PD sleep scale (PDSS), PD fatigue scale, and non-motor symptoms scale (NMSS) for PD. For simple linear regression analyses, dopaminergic depletion in all striatal subregions was negatively correlated with the UPDRS-III score. The most relevant non-motor symptom assessment related to dopaminergic loss in the 12 subregions was NMSS, followed by BDI and PDSS. However, following multiple linear regression analyses, dopaminergic depletion in the 12 striatal subregions was not related with any of the non-motor symptoms. Conversely, dopaminergic deficit in the right anterior and posterior putamen was associated with the UPDRS-III score. Striatal dopaminergic depletion was not significantly correlated with any of the various non-motor symptoms in PD. Our findings suggest that non-dopaminergic systems are significantly implicated in the pathogenesis of non-motor symptoms in patients with PD. The online version of this article ( https://doi.org/10.1007/s10072-018-3632-7) contains supplementary material, which is available to authorized users. This work was supported by the Soonchunhyang University Research Fund and the National Research Foundation (NRF) of Republic of Korea (No. NRF-2018R1C1B5045312). All procedures were in accordance with the ethical standards of the institutional and/or national research committee and with the 1964 Helsinki declaration and its later amendments.